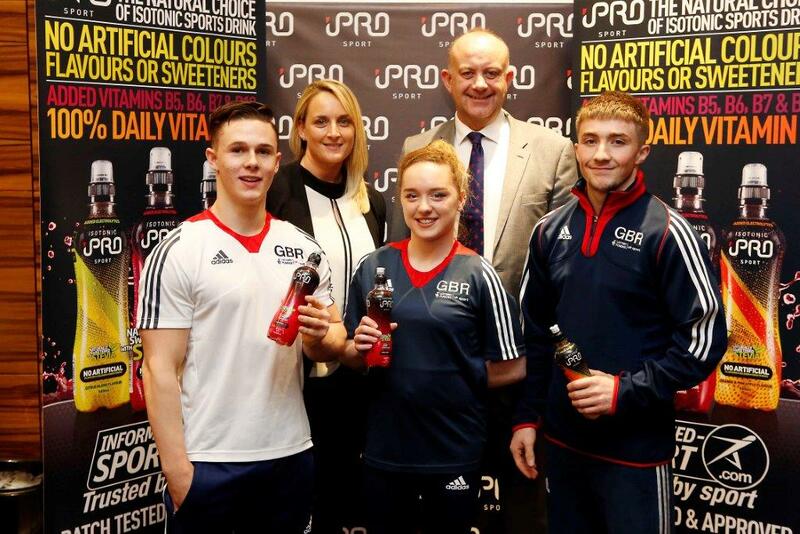 Matchroom Sport are pleased to announce iPro Sport as the title sponsor of the forthcoming World Cup of Gymnastics, to be staged at The O2, London on Saturday, April 8.
iPro Sport are fast becoming the leading supplier of Isotonic Sports Drinks to the world of sport. From professional athletes to grass-root clubs and universities, iPro Sport is THE name in isotonic hydration in the UK and across the globe. Set to feature Team GB stars such as Olympic bronze medalists Amy Tinkler and Sam Oldham, the iPro Sport World Cup of Gymnastics sees the world’s best gymnasts invited to compete in the prestigious ‘all-around’ competition. The competition is coming back home to London as one of the most spectacular and popular events in the world of gymnastics as part of a new partnership between British Gymnastics and Matchroom Sport. Olympic champion Oleg Verniaiev tops the bill of international competitors, which includes Rio Olympians Tabea Alt (GER), Bart Duerloo (NED) and Eddy Yusof (SUI). American 15-years-old Jordan Chlies and vault World medallist Donnell Whittenburg will also be in the hunt for medals. Sophie Christy, Commercial Director of iPro Sport, said: “We are absolutely thrilled to further support our long-term commitment to international sport and elite athletes through this new partnership with Matchroom Sport. Following the outstanding performance by Team GB’s Gymnasts at the 2016 Rio Olympics, we are excited to be involved in cementing this top class event on the global Gymnastics Calendar.